[By Nick] Tomorrow I'll be making my way down to NYC and the Javits Center for the Summer Fancy Food Show. Be sure to follow me on twitter and instagram for posts and updates throughout the day. Seeing as Dubba already covered one of the sofi award finalist products, it's fitting that I cover another one of them. This was honestly the flavor I was most interested in from Steve's this year. I've never had one of their vegan frozen desserts so I was interested to see what they brought to that side of the market. That and the fact I've heard so many great things about their vegan lineup. And the hype was not a lie. Heck, the hype might be a little too understated. This is the greatest vegan flavor I've ever had. Okay, let's start from the beginning. 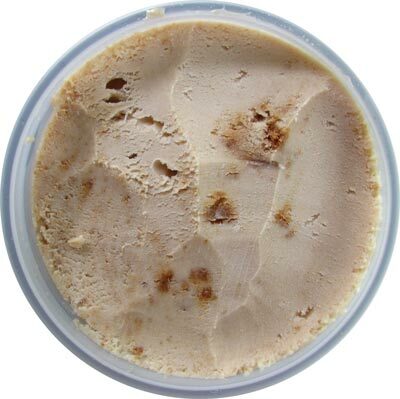 First off, Steve's coconut cream base is the creamiest I have ever encountered from a vegan treat. Actually, it's better than most super premium ice creams to be ever. It's so smooth and easy to scoop. 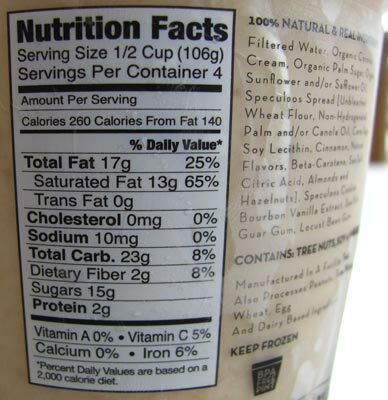 You'd never know this was dairy free unless you read the label, it's that close to traditional ice cream. Another plus is that even though it is coconut based, the coconut doesn't take things over. It's more of a supporting flavor to the rest of the components. It's subtle, sweet and as pure of a coconut flavor you'll find. It actually works perfectly with the speculoos. 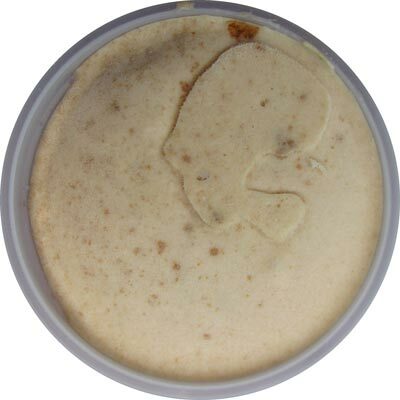 While it says it's blended with speculoos cookie butter, they mean blended in to the base and not as a swirl, so the flavor is present in every bite. Those undeniable spices are present with the addition of coconut notes in the background of each spoonful. This stuff is delicious and I'm beyond shocked at how much I'm enjoying a vegan treat. Throw in tons of chunks of crunchy yet soft speculoos cookies and you have a winner here. Seriously, Steve's isn't skimping on mix-ins with this one. It's hard to come across a bite without some of those cinnamon, gingery nuggets of deliciousness. Out of all the speculoos and cookie butter flavors on the market, this one is by far the greatest I've tried. Yes, this one even beats out big boys like Ben & Jerry's version and the Haagen-Dazs version from a few years back. If your local grocery store carries this, get it. I don't care if you're 100% against vegan products and are a proud meat eater. This will change your mind on all things vegan forever. Buy it, love it, thank me later. I so wish I could try it in my part of the gosh darn world, but I enjoyed tasting it vicariously through you. I am so anti Vegan / Organic / gluten free that I am probably missing out on some decent treats. Thanks for the encouragement to give that crap a try I guess. I have had another vegan flavor of theirs, Cold Brewed Cinnamon Coffee, and it was awesome! Surprisingly really like a premium ice cream. 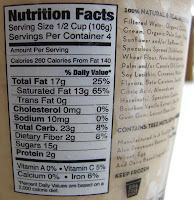 Wouldn't have known it was coconut-based/vegan/whatever if the container hadn't said "Dairy-Free." 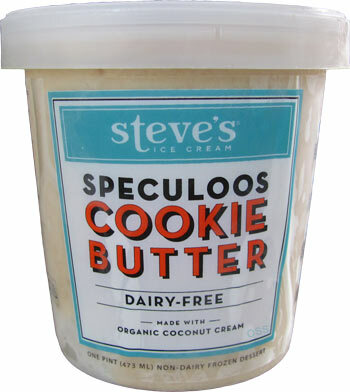 Just barely behind B&J's ice cream/cookie bits, but the awful core of that flavor drags down that pint (7-7.5) enough for Steve's (8) to be my favorite of the 4 Speculoos flavors I've tried. Good amount of cookie bits, and the base had a great texture. First time I've tried Steve's but won't be the last. Why oh why can't I find it anymore???? ?